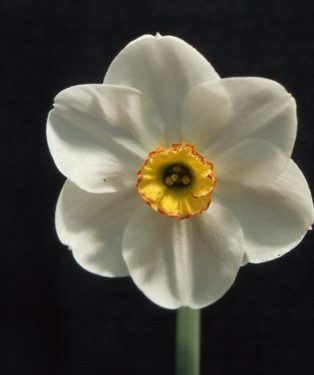 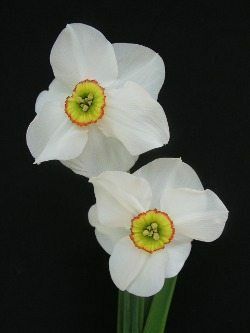 Characteristics of N.poeticus group: usually one flower to a stem; perianth segments pure white; corona very short or disc-shaped, usually with a green and/or yellow centre and a red rim, but sometimes of a single colour; flowers usually fragrant. 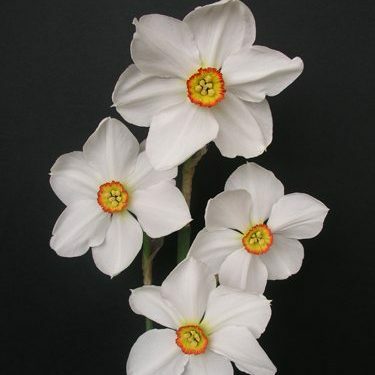 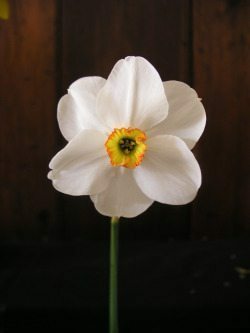 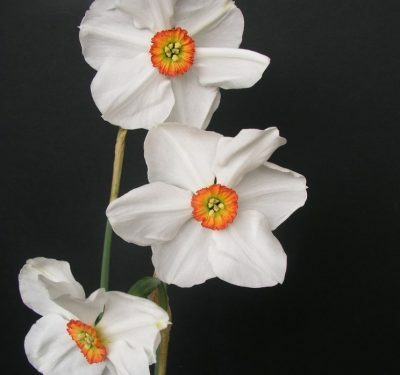 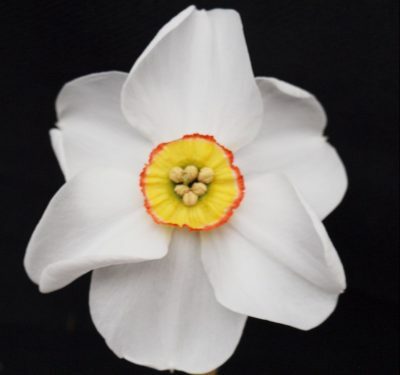 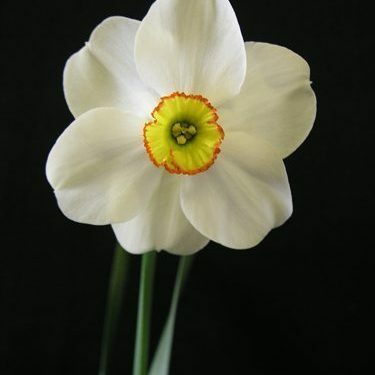 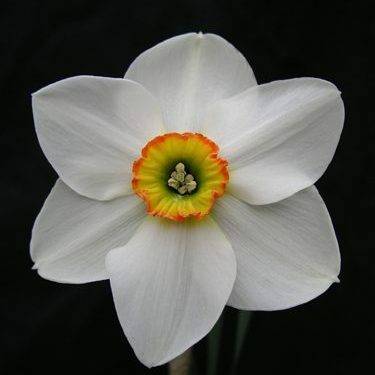 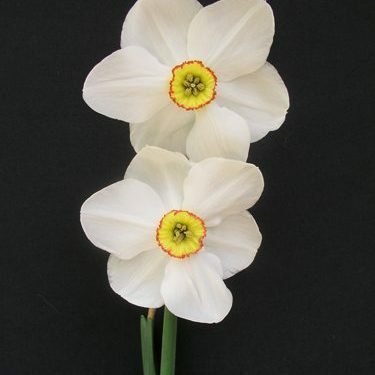 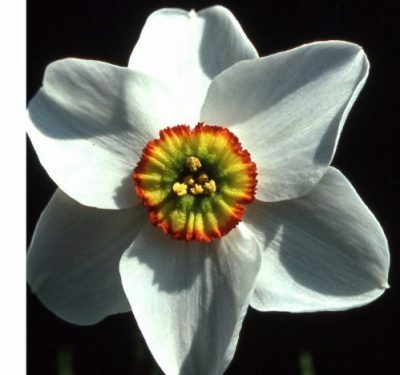 These flowers have been commonly called the “Pheasants Eye” and indeed they have been bred from the old species, however these varieties are far superior in form and colour when most other Daffodis have been long finished. 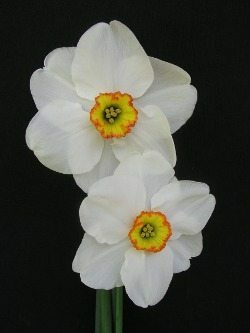 They are best picked young as the sun does affect the lovely colours if left out. 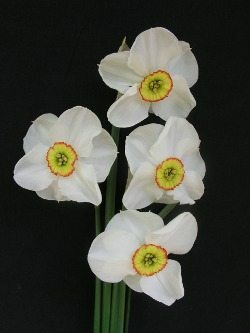 They are without exception all highly scented. 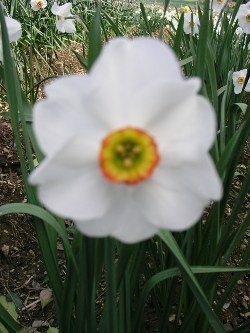 The plants like to be planted in good soil that never completely dries out, this helps to keep them cool. 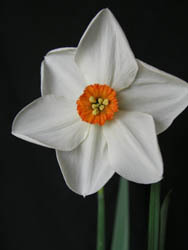 Set the bulbs slightly deeper than normal and leave undisturbed. 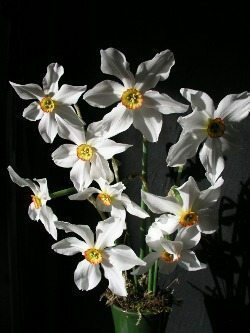 New bulbs may take a season to settle, but are well worth their place in the garden.